Enjoy the tropical and laid-back island atmosphere at the Grand Palladium, located along the calm waters of the northern coast of Jamaica. 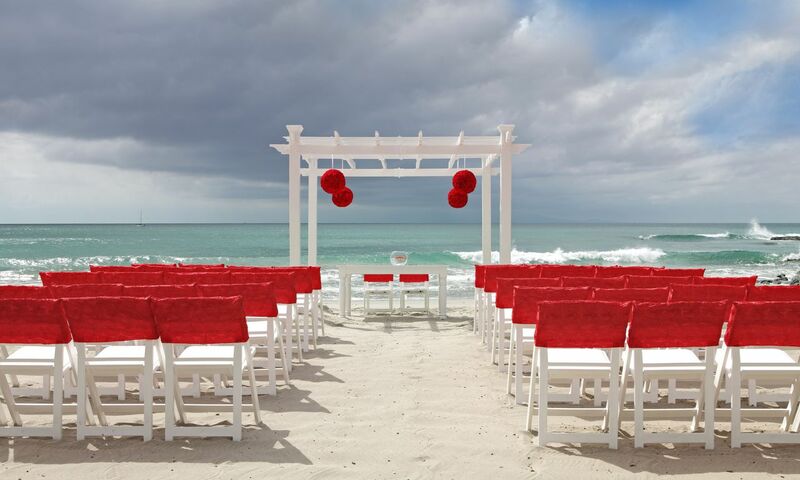 Although this resort is very family-friendly, expect quieter grounds with plenty of opportunities to relax and have a romantic destination wedding. 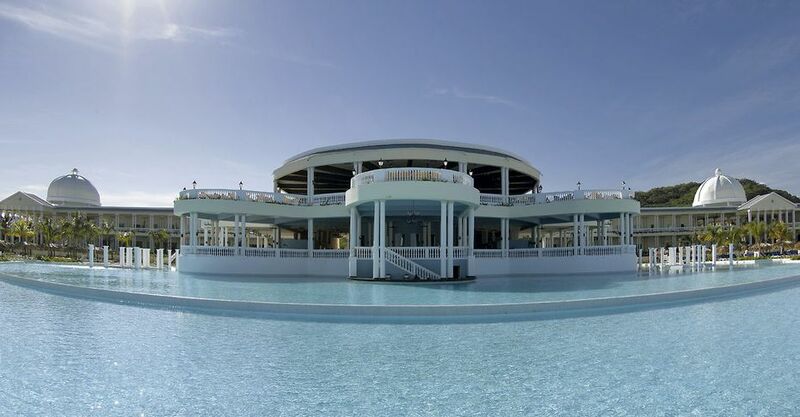 Perhaps the centerpiece of this resort is that it features Jamaica’s largest whirlpool hot tub. With a Grand Palladium Jamaica wedding, you’ll have plenty of time to make endless memories in this secluded oasis north of Montego Bay. Pools are open 24 hours, but lifeguards stop working at 6pm. The resort is very family-friendly, but they also offer adults-only pools as well. The resort offers catamarans, kayaking, pedal boats, and snorkeling all included in the all-inclusive program! 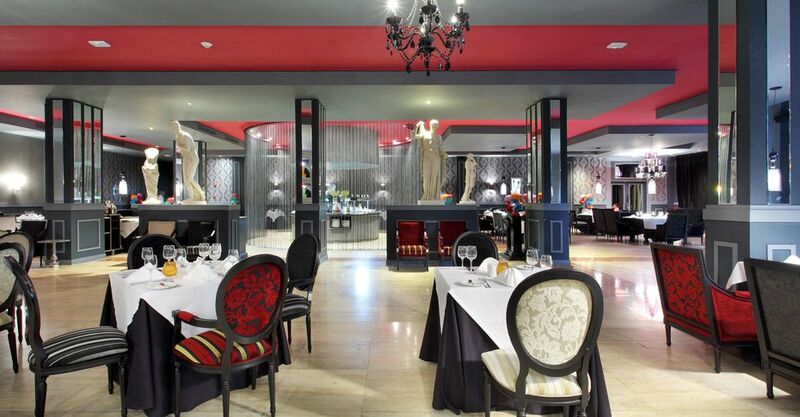 The resort is perfect for foodlovers, it offers 10 internationally-themed restaurants and 13 bars. The base price for this package is $1150, but complimentary when booking 12 rooms for a minimum of 4 nights. Children ages 12 and younger are free of charge. Upgraded packages, additional guests, and add-ons are available for an additional cost. Rooms range from $130 – $220 per person per night. Every room includes wifi, a minibar, and a jacuzzi. Suite room categories offer a separate living room area and bedroom area. Children 2 and younger stay free. There are 540 total guest rooms with views of the pool, ocean, and garden. Connecting rooms are available upon request. The property is spread out between multiple buildings that stand 3-stories high. This resort shares exchange privileges with 2 sister resorts at the complex. Angels Atrium – 200 guests max, Garden Gazebo – 150 guests max, Promise Pergola – 100 guests max. The resort will host no more than 4 weddings per day, Monday thru Sunday. Ceremonies can be held at 10am, 12pm, 2pm, and 4pm, and no weddings will be held at the same time. High-season months typically include January, April, June, July, August, and December. It is always encouraged to have your guests book their stay 6 months in advance. The wedding coordinators typically respond within 2 – 3 days. During the resort’s busy season, they may longer. Grand Palladium Jamaica is located 20 miles from the MBJ airport. The resort is about 30 minutes outside of downtown Montego Bay. Q: What makes Grand Palladium Jamaica such a great place for a destination wedding? 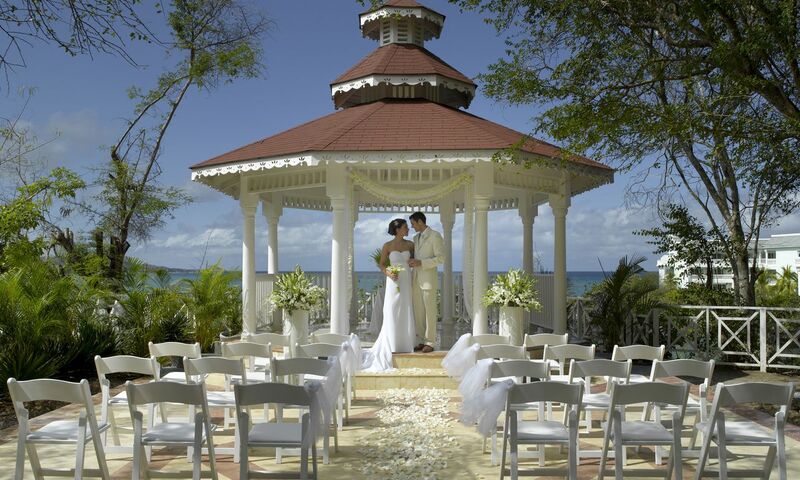 A: The friendliness of our wedding coordinator makes the whole wedding experience amazing, we are a family resort where adults have their little exclusive spaces as well, and our wedding venues are unique! 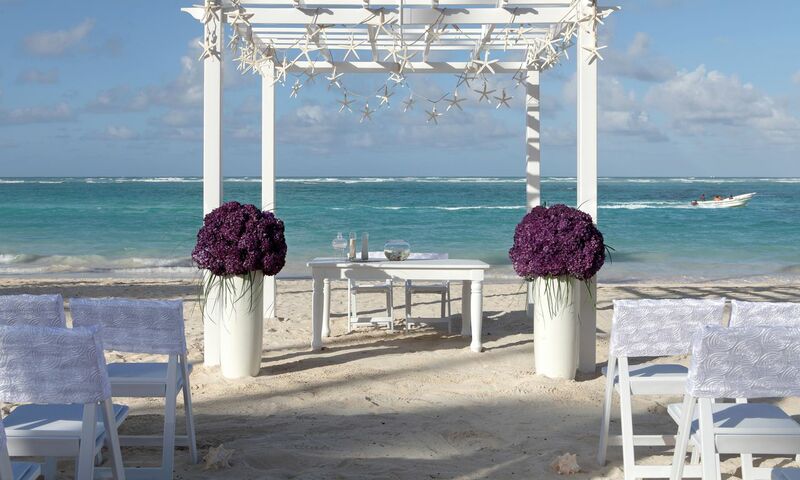 A: That people can enjoy the perfect family vacation and a romantic honeymoon or dream wedding, all together in one stay! Q: What are the challenges brides face when planning their destination wedding at Grand Palladium Jamaica? A: Sometimes they cannot secure the date they want, but we always try to find a solution! When you are having a destination wedding sometimes you have to be flexible.